Gersowitz Libo & Korek, P.C. recently accepted a settlement offer of $8.5 million after 4 weeks of trial for a client who fell down an elevator shaft of a New York hotel. The client suffered through numerous surgeries and extended hospital stays due to the sever groin injury he sustained. According to court documents, on Friday, January 11, 2008, Gary Meade, along with his sister and father, were passengers in one of the elevators at the On The Ave Hotel when it got stuck between the second and third floors, approximately 5 ft. above the second floor. The hotel staff, after manually opening the elevator doors, encouraged the passengers to jump out of the elevator without first securing the shaftway or providing a ladder. 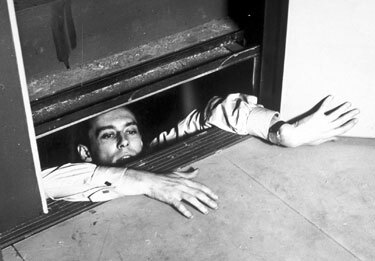 After his sister successfully jumped out of the elevator, Meade attempted to back himself out of the car but lost his grip and fell down the elevator shaft, landing on a steel buffer in the elevator pit. He severely injured his groin area. According to the case, Meade suffered an 8” to 10” gash to his left groin which injured both his venous and lymphatic system. He required five surgeries and twelve hospitalizations in an attempt to manage the initial injury and subsequent tissue infections. A skin graft was also performed to close the wound. Meade suffers from permanent disfigurement and scarring, constant pain, psychological injury including post traumatic stress disorder, numbness in his left leg and foot and must keep his left leg elevated at all times to deal with the resulting Lymphedema. According to court documents, Meade sued On The Ave Hotel Owner, claiming both the hotel and hotel employees were negligent in encouraging him to jump from the elevator rather than calling emergency services to perform the evacuation, in failing to provide Meade with a ladder and in failing to secure the shaftway. Following jury selection and immediately prior to opening statements, the plaintiffs accepted On The Ave Hotel’s concession of liability. The resulting trial was for damages. Meade sought compensation for past and future medical expenses, lost wages and past and future pain and suffering. According to the case, the Hotel claimed that the manner in which Meade exited the elevator contributed to his fall. Defense argued that the necessity for long-term medical care was due largely in part to Meade’s prior medical conditions, including knee issues and excessive weight problems, and not as a direct result of the fall. According to court documents, the parties reached a settlement after four weeks of trial. Meade recovered $8.5 million from On The Ave Hotel. Andrew L. Libo, the attorney for Meade from Gersowitz Libo & Korek, P.C., was pleased with the outcome. “Gary and his family have suffered tremendously over the past two years, and their lives will never be the same. We wanted to ensure that Gary was fairly compensated for past and future medical expenses and lost wages, which is why we ended up going to trial.” The Trial was conducted by Jeff S. Korek and Nicolas Bagley.